"What would happen if all the geniuses actually decided to change the world?" If the most recent trailer for Tomorrowland was still a little too mysterious to convince you to see the movie, then this new trailer from Japan should do the trick. It's comprised almost entirely of footage not seen in the latest US trailer, explaining much more of the story, including who gives Britt Robertson the pin we've seen in the trailers, and some talk from Kathryn Hahn and Keegan-Michael Key about Disney's actual Tomorrowland and how the geniuses and inventors in the theme park's attraction tie in to this fantasy, future world. If you're already convinced to see this movie, I wouldn't watch this trailer though, so it's entirely up to you. Watch? 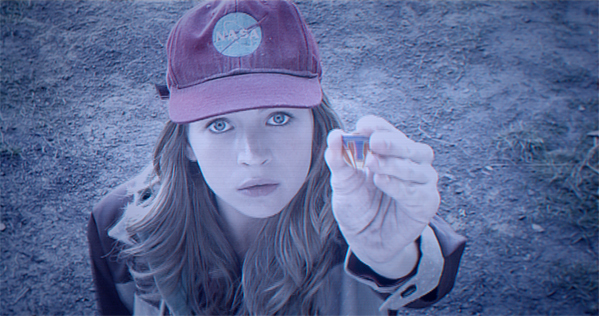 You can also still catch the most recent US trailer for Brad Bird's Tomorrowland right here if you wish. The japanese trailer spoil all the movie ! !